Last night we received word that AMD’s manufacturing partners are going to be introducing new models of their HD 6870 cards. They gave three examples of what to expect. Sapphire-Toxic Version clocked at 975MHz engine, 1100MHz Memory clock. 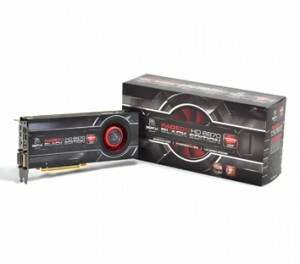 XFX-Black Edition clocked at 940MHz engine, 1150MHz Memory clock. 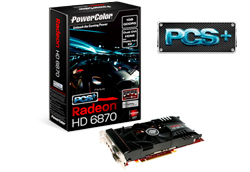 PowerColor: clocked at 940MHz engine, 1100MHz Memory clock. Prices will range anywhere from $229 to $259, depending on the partner. Not too bad, especially considering the Toxic is knocking on the door to a 1 GHz GPU clock from the get-go. In addition to those, around mid-February we can expect to see factory-overclocked HD 6950’s hitting the market, with prices around $269 – $279. The “Use Application Settings” option gives applications full control over the Tessellation level. Users can also manually set the maximum tessellation level used by applications with the slider control. Based on that, it is definitely an upgrade worth downloading for anyone with 6xxx series cards. Still no word on the availability of the rumored powerhouse, the 6990. Rest assured we’ll bring you any news we get on them, and we hope to bring you some detailed testing when that time comes! Just unlocked my HD6950, Still seems to be running perfectly stable..
FYI, there is a leaked 11.1a hotfix out in the wild. Unfortunately it was the first version released to the press and there is already an update that fixes an OGL tessellation bug. FYI, the 11.1 hotfix will be released to the public on Tuesday, January 26th. I didn't get any additional emails, so presumably it will be out sometime today. In light of the public release of the Catalyst 11.1a Driver yesterday January 26th, we’d like to highlight that the Hot-Fix 11.1a driver enables our MLAA feature on our ATI Radeon HD 5800 & HD 5900 series graphics cards. Beginning Catalyst 11.2 we will officially add support for MLAA on 5800/5900 series as well.